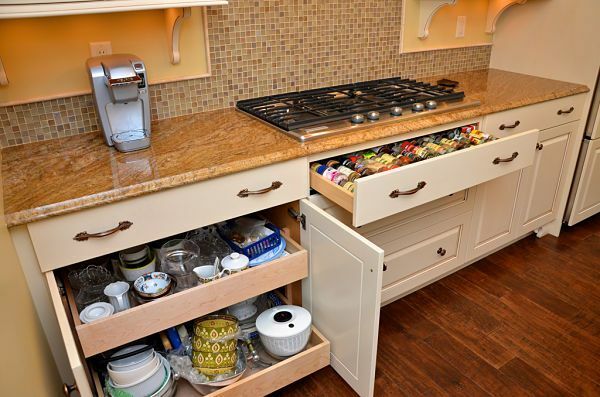 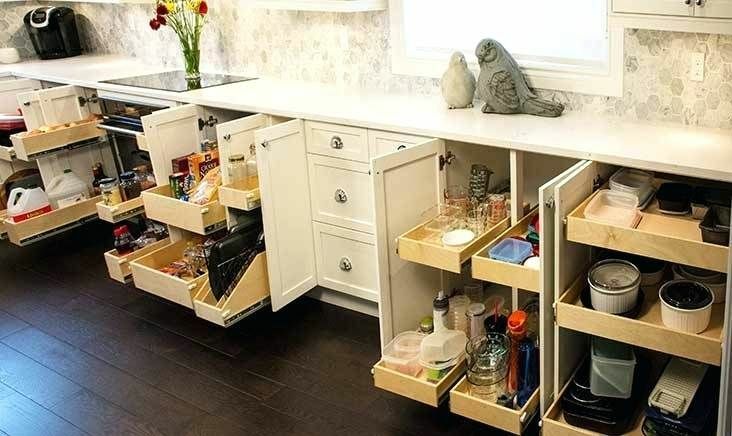 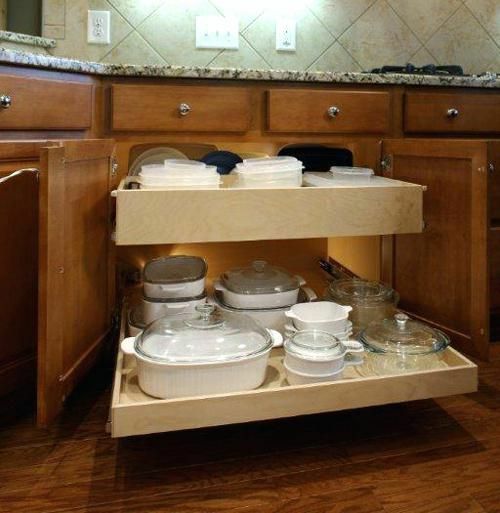 Roll-out shelves are a great way to utilize space in the bottom cabinets of your kitchen, bottom halves of your pantry, or areas that are more convinient to simply pull out and have access to. 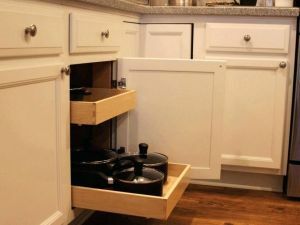 Roll-outs are made of solid or ply materials, and fastned to the cabinets using full extension ball bearing slides that make for a smooth open and close. 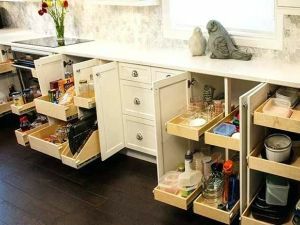 They add a lot of value to areas of your home that you use the most. 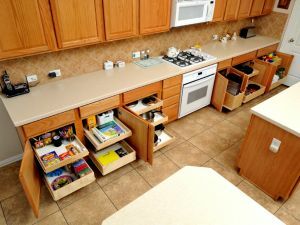 We take into consideration that most of our customers dont want to be down on their hands and knees trying to reach for pots and pans or the soft scrub for the sink. 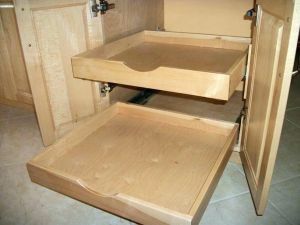 How nice it is to simply pull the drawer/shelf out and have a birds eye view of the things that you need access! 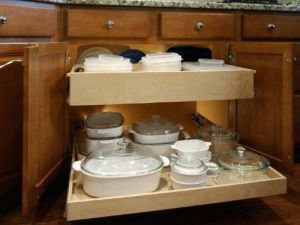 It also helps with the frustration of having to take everything out just to get the bowl in the back. 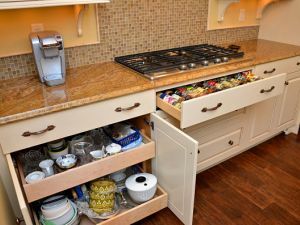 Most kitchens don't come with roll-outs because they are typically expensive, and builders are trying to save money, oftentimes not concerned with upgrade features. 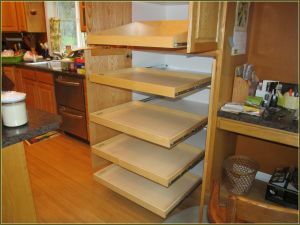 Because we make drawer boxes for our cabinetry already, we are able to make roll-outs cost efficient while still being high quality at an affordable price. 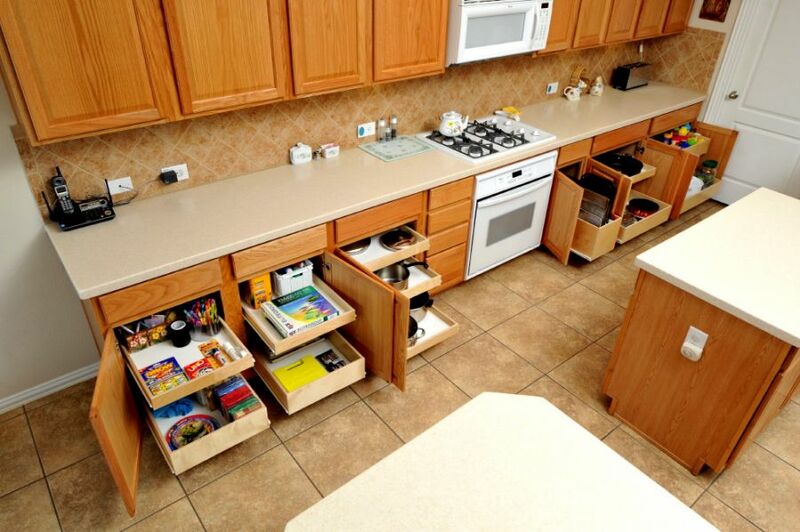 We are extremely competitive, and our prices are often half of competitors like Shelf Genie. 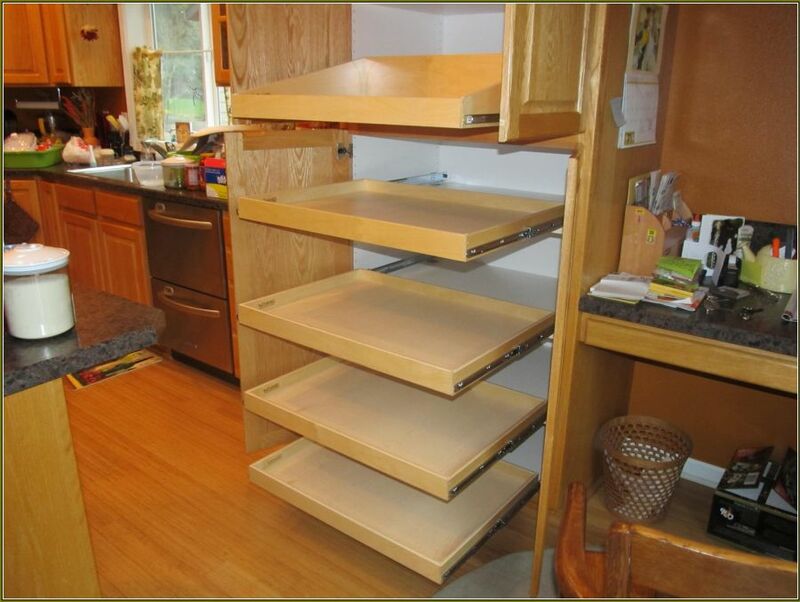 Roll-out shelving is a product that makes cooking and cleaning easier and more fun. 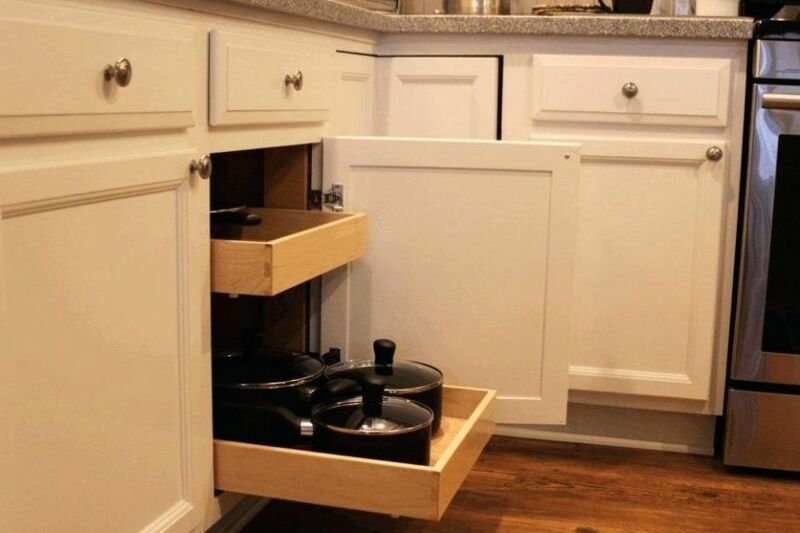 Once you have them installed, you will enjoy them forever, and you wouldn't want a kitchen without them again!